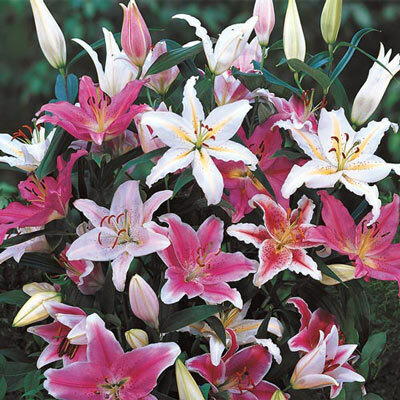 These exotic Lilies are beautiful, delicate and fragrant. Easy to grow, they bring year after year of spectacular blooms. Our mix includes these popular varieties. Remind folks to use the blooms for fantastic floral arrangements! Outward facing, typical oriental looking flowers.